Blissology Yoga is about tuning into the beauty and energy of nature to inform our hearts about the profound interconnection of all life. EcoKarma is about combining the teachings of yoga with environmental stewardship. 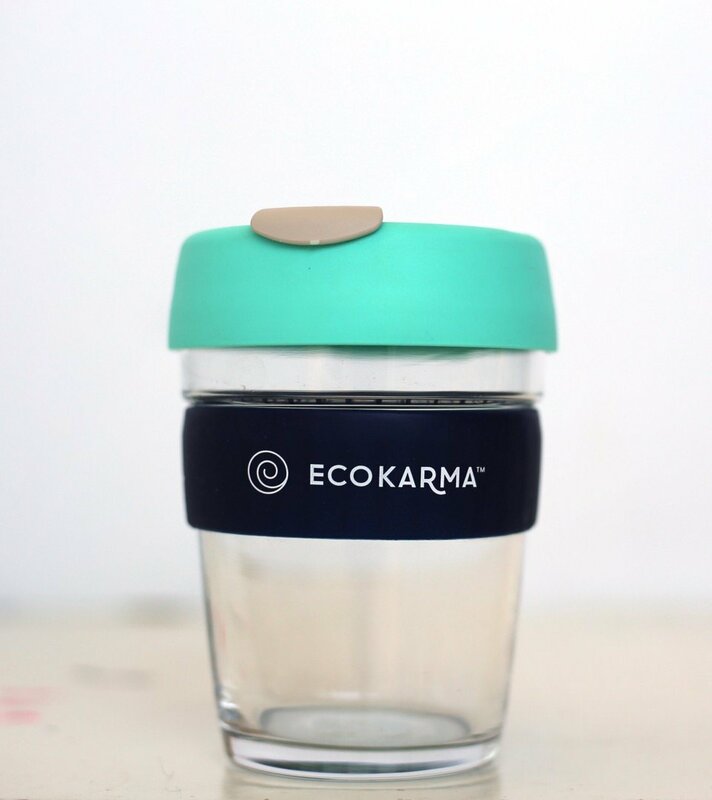 That why as yogis and environmentalists we think it’s about time we finally step up and walk our talk when it comes to saving our planet and our oceans so we decided to create this reusable coffee (or tea, or smoothie or, you know, whatever floats your boat) mug in collaboration with KeepCup to reduce the waste of single use to-go cups. 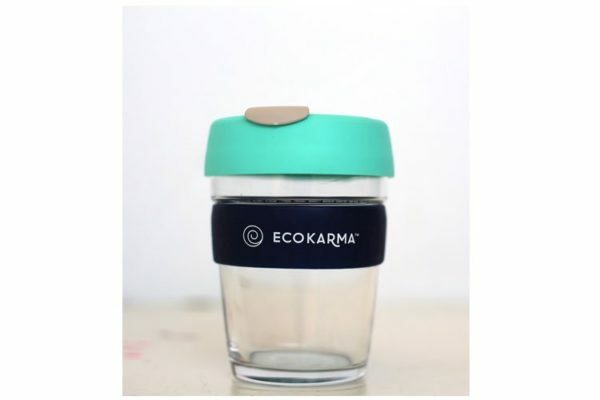 Contrary to popular belief, most to-go coffee cups are not recyclable as they are lined with a plastic film, making them notoriously difficult to recycle. They are used for a few minutes and then thrown away to remain in landfill for a thousand years to come, many even end up in the ocean where they break up into small bits that marine life mistake for food, claiming countless lives. And the second best part, beside the fact that you’re saving the oceans? Five dollars from each cup will go towards coral restoration! They are stylish, easily fit in a backpack, easy to clean and the color is inspired by the beauty of the ocean. 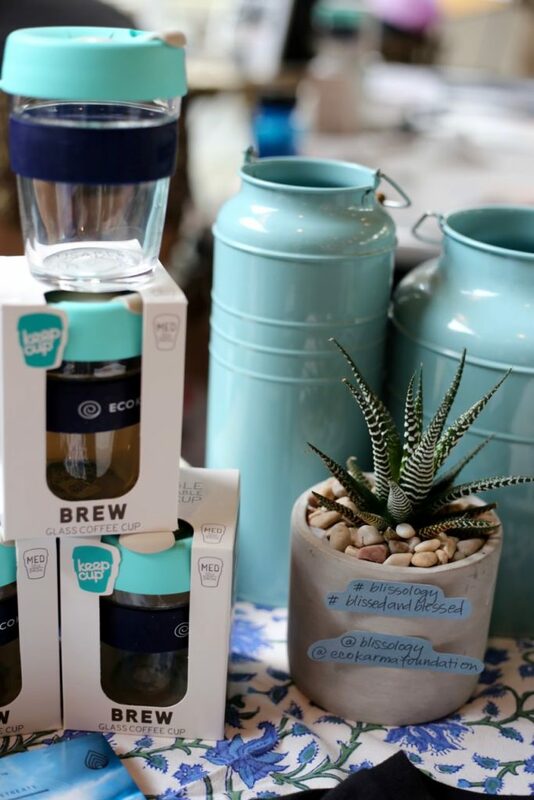 Made from fully tempered, soda lime glass, KeepCup Brew is a vessel for people who are serious about their coffee ritual, as well as lovers of fine tea.